The Idaman Residence project in KLCC is expected to be completed by early 2009 and will have 248 condo units that span 800sq ft to 1,900sq ft.
With the weakening property market, the next six months will be an interesting period for luxury condominium developments in the Kuala Lumpur City Centre (KLCC) area as investors, speculators, developers and property agents assess whether the market can sustain current prices and maintain projected yields. According to SK Brothers Realty Sdn Bhd general manager Chan Ai Cheng, buyers of KLCC condos belong to a very specific segment of the property market. They would only be marginally affected by economic conditions. They would have the necessary “buffer” to cushion themselves against any market uncertainties and sail through. Chan Ai Cheng: Whether KLCC condos - priced at around RM2,000 per square foot - are still worth buying will depend on the “investment appetite” of the buyer. KLCC condo prices are still the cheapest in the region, and with rising construction costs which have gone up 30-40%, it is very unlikely to see prices falling. Some units are going to be owner-occupied, therefore it is not a 100% investment market for KLCC condos. Owner-occupiers want the address and location. Yield doesn’t matter to this category of owners. In the long term, property prices will still be on an upward trend. With rising inflation, the value of money will go down. Therefore, there are people who want to buy property now. Of course, those who are apprehensive of the weakening property market situation will hold back. Those who have booked condominium units in the KLCC area are generally deemed to be steady investors. They are unlikely to cancel. Their purchase considerations are different from property speculators. But speculators will try to off-load at this point as they went in with very little. Developers refer to speculators as “flippers”, meaning those who will flip a purchase for an immediate profit. And this becomes more apparent when the condo units are handed over and the bank loans need to be serviced. And if there are many competing units offered for sale, buyers in a weak market situation can drive a harder bargain. In any case, speculators who booked a KLCC condo for only RM600 or RM700 per square foot -- some 24 months before the hand-over -- will still make a profit, as prevailing market prices would be at least RM1,000-RM1,200 per square foot or more now. As to whether prices for KLCC condos have gone up in recent months, Chan can’t rule out such a possibility. Chan is also of the opinion that it is unlikely that developers within the KLCC area and the vicinity, will be unable to meet their construction schedule. Whether KLCC condos -- priced at around RM2,000 per square foot -- are still worth buying will depend on the “investment appetite” of the buyer. The purchase will depend on the perceived value of the property to the investor. Different condo projects offer different features. · how to finance - with cash or high margin of finance? If a buyer is in doubt, always go back to the fundamentals which are specific to each individual. Even in bad times, some people can still do well in the property market. But rental yield does not go up in tandem with capital appreciation. This means that if an investor bought a property at a low entry level price, the rental yield will be much more lucrative compared with buying a similar property from a third party. 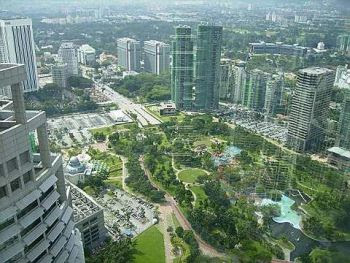 There had been no increase in the cost of KLCC condominium properties but prices remained stable. There is still interest in Malaysian real estate especially in the Kuala Lumpur City Centre (KLCC) area among foreign buyers. According to Henry Butcher Marketing Sdn Bhd chief operating officer Tang Chee Meng, investors were now more cautious in view of the current political and economic uncertainties. The investors were also concerned about the large number of units that would be completed within the next 12 months and the possible impact on the rental market and yields. Tang advises investors still keen on buying KLCC properties to look out for projects that stand out from the rest. On a regional context, prices of Malaysian top-end condominiums were still very cheap, being only 20% that of Singapore and about 12% that of Hong Kong. Foreign investors were still keen to invest but the level of interest was less compared to the strong surge in foreign interest in the 2nd and 3rd quarters of 2007. “After the results of the general election,” pointed out Tang, “We actually had a couple of purchasers who cancelled their bookings for one of the projects that we were marketing. However, we suspect that they were probably only using the election results as an excuse. Once things settled down and people accepted the results, we had no more issues. The current uncertainties in the political arena, added Tang, as well as the softer economic conditions obviously resulted in some investors adopting a wait-and-see attitude as far as property investment was concerned. The impact was felt more strongly in the low and medium cost sector as the target buyers were more adversely affected by the rise in the cost of living. Well-heeled investors were however still investing in the upper medium-cost and high-cost sectors but they were now more selective over location, pricing and the developer’s track record. Tang said he had not heard of any specific examples of developers falling behind or being unable to meet their construction schedule. But from market talk, he understood that some developers faced difficulties in getting contractors to tender for their projects. There had been cases where the contractor turned down the award after they were informed that they were the successful in the tender exercise. At this point in time, investors who were still keen on buying KLCC properties ought to look out for projects that would stand out from the rest, advised Tang. “Look for distinguishing factors, for example, branding, architectural features and design. Although there are many Grade A prime office buildings in KL, there is only one Petronas Twin Towers. In that sense you have no competition and therefore you are in a position to dictate your own price and rental. "Secondly, unless it is a project undertaken by a financially strong and capable developer, it is safer to invest in an already completed project as you do not have to worry about the project being abandoned and whether the workmanship is of the right quality. “Thirdly, if you are investing in a project which is not completed yet, choose a developer who has the financial capability as well as the track record in handling similar projects. A developer who does not have the experience of developing high-end projects may not be able to deliver the right quality. Although the property market could see a reduction in the volume of transactions compared to 2007, Tang believed that property prices would unlikely go down due to the significant rise in construction costs. 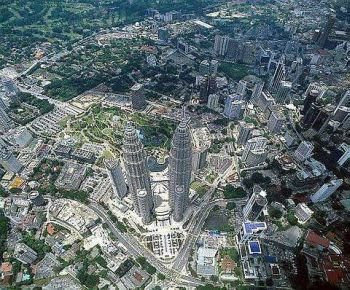 There have been no new launches within KLCC in the first half of 2008. Market demand for top-tier luxury condominium and serviced apartment units is expected to soften as purchasers become more selective and discerning and developers become increasingly cautious over over-supply concerns, leading to slower sales. C H Williams Talhar & Wong Sdn Bhd (WTW) senior executive director P’ng Soo Theng said factors that led to such a weak market situation could be attributed to the country facing a great deal of uncertainty this year. P'ng says buyers are in a position to “pick, choose & negotiate” in the current scenario. Under such circumstances, affordability is now of great concern as daily living expenses, particularly so for the middle to lower income group, forms a larger portion of their disposable income and the sales of “Big Ticket” items are cautioned. The Kuala Lumpur City Centre (KLCC) area represents the top-tier condominium and serviced apartment market in the country. In the last two years, prices have doubled breaching the RM2,000 per sq ft benchmark. Foreigners (Singapore, Hong Kong, South Korea and the Gulf nations) make up about 30-40% of purchasers as prices, despite the increase, are still considered affordable by regional standards. The exemption of RPGT (Real Property Gains Tax) and lifting of the need for approval from the FIC (Foreign Investment Committee) are factors attracting foreign investors. With the global financial situation still unsettled as well as the current political climate in the country together with imminent key interest rate hike, many are now adopting a “wait-and-see” attitude. Possibility is greater that purchasers will refrain from buying rather than cancelling their bookings or purchases. With the uncertainty from spiralling costs, pressure on building materials and electricity tariff hike, purchasers would probably switch to purchasing units in prime locations as landed properties in prime locations are considered as a hedge against inflation. 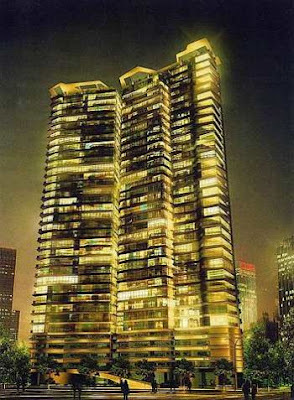 KLCC condominium properties have not gone up in price within the last two months. There actually have been no new launches within KLCC in the first half of 2008. “We believe that buyers are in a position to “pick, choose & negotiate” in the current scenario,” advised P'ng. “The immediate response to the current scenario has already been observed during the first five months of 2008 where fewer developers are launching residential units. “Having monitored the daily printed media of new residential schemes advertised for sale, our findings reveal that during the months January to May 2008, some 3,333 residential units were launched in the Klang Valley. These included terraced, semi-detached and detached houses as well as town villas and condominiums or apartments in areas extending to Shah Alam, Semenyih, Klang, Sg Buloh, Bangi, Rawang, Puchong and Putrajaya. KUALA LUMPUR: Mutiara Goodyear Development Bhd will launch two projects this year despite rising building material costs, says chief executive officer Kee Cheng Teik. He said it would launch Prima Avenue within two weeks and a residential project in Melawati by year-end or first quarter of next year. “We think it is a good time to launch now because there are not many projects currently. As long as our projects provide value for money, I think we still can stand well,” he said after the company EGM yesterday. He said Mutiara Goodyear was confident of its product designs, good mix of properties and good locations. It was not so concerned about building material prices because they would settle down at a certain level eventually, he said. Kee said the company had started making arrangements, like direct purchase of materials from factories, to mitigate the higher costs but it was happy with its current profit margin. “We foresee healthy property demand in the Klang Valley and Penang,” he said. He added that the recent oil price hike did not really impact the property sector n the two areas. However, the uncertainties might put purchasers' plans on hold for a while, he said. The freehold Prima Avenue at Dataran Prima, Tropicana, comprises two towers of office suites and retail lots, and has a total gross development value (GDV) of RM120mil. The 80-acre Melawati project, which has yet to be named, will consist of bungalows, link houses and commercial lots, with a total GDV of RM800mil. Kee said after disposing of 253.72 acres in Seberang Perai Selatan to Tambun Indah Development Sdn Bhd for a joint-venture project, Mutiara Goodyear had about 45.6 acres left in Bandar Tasik Mutiara. The group has a total of about 891 acres land bank in Penang and the Klang Valley. With an estimated total GDV of RM4.1bil when fully developed, the projects would be launched within five years, he added. PROPERTY developer Mutiara Goodyear Development Bhd said it has 360.5ha of undeveloped land in hand with a gross development value (GDV) of RM4.1 billion, that will keep it busy for the next five years. The plots of land are located in Penang and the Klang Valley, said its chief executive officer Kee Cheng Teik. Despite rising building material costs, the company is going ahead with the launch of two major projects in the Klang Valley this year. It will launch a 1.38ha commercial development called Prima Avenue in the next two weeks, followed by Melawati development, which features luxury residential properties on 32.4ha, by the end of this year or early next year. The projects have a combined GDV of RM920 million. Kee is optimistic that the two projects will be well received for their strategic location and product mix. He added that although uncertainties in the market may hold up decisions on property buying, it is only for the short term. "We notice that the demand (for property) is quite real. Honestly, we do not see much bubble in the industry," he told reporters after the company's extraordinary general meeting in Kuala Lumpur yesterday. "Where there is real demand, we see holding power. People buy for the value of the project. Hence, we are holding a longer term view on all the projects that we develop," Kee added. Kee said Mutiara Goodyear has made provisions to purchase raw materials such as steel bars and cement directly from suppliers for its new projects. Amid the present challenging scenario, he said, the company is managing its margins well. Meanwhile, Mutiara Goodyear is exploring opportunities to develop properties overseas such as in Vietnam and China. Kee said it is in talks with "some parties but no time frame has been set". JOHOR BARU: Tanah Sutera Development Sdn Bhd wants to position its Taman Sutera Utama development as the “central hub of Skudai”. General manager Steven Shum said the development on a 48.562ha site would offer business, entertainment and education facilities. “Being located along the Johor Baru-Skudai-Senai Growth Corridor within Iskandar Malaysia augurs well for its future growth,’’ he told StarBiz. Sutera Mall at Taman Sutera Utama that will be opened on Friday. Shum said the catalyst of the hub would the RM75mil Sutera Mall, Johor Baru’s latest retail complex that would be opened tomorrow. The three-storey mall with 27,870sq m floor area offers a wide range of tenant mix from 250 outlets. Shum said it was well linked to matured and developing residential estates – Taman Ungku Tun Aminah, Taman Sutera, Mutiara Rini, Bandar Selesa Jaya, Nusa Bestari, Bukit Indah, Taman Impian Emas, Tampoi, Kempas and Senai. He said these estates had a population of 500,000 , which offered a ready market. “The mall is easily accessible from the city centre via Jalan Skudai, Perling Highway, North-South Expressway and Singapore by the Second Link crossing,” he said. He said the company would be launching the RM60mil Entertainment City project year next to the mall next year. The proposed project includes cinemas, a bowling alley and food court with office and hotel blocks. “The retail sector in Johor Baru has the potential to grow but it is still largely untapped unlike Kuala Lumpur and Singapore,” said Shum, adding one way to grow the sector was for the state government to have more friendly policies. Tanah Sutera Development is a consortium of local and Singapore-based companies, namely Permodalan Nasional Bhd, Lembaga Tabung Angkatan Tentera, CapitaLand, Keppel Land and Lee Rubber Co (Pte) Ltd.
AN INTERNATIONAL school, two hotels, medical facilities for chemical-related injuries and a dedicated police station are among the amenities being planned under the fourth phase of the Kulim Hi-Tech Park in Kedah. Kulim Technology Park Corp (KTPC) group chief executive officer Datuk Ahmad Shukri Tajuddin said the federal government had earlier this year allocated RM145 million for the fourth phase of the science park, which covers 156ha. "A fifth phase covering 422ha was also announced with a RM265 million allocation," he told Business Times. Ahmad Shukri said the park's third phase - which covers 172ha - can accommodate another five new tenants and then it will be full. He said the ELC International School is scheduled to begin in September and teachers and staff are currently being shortlisted. "Construction work on a two-to three-star category hotel, boasting 100 rooms, is expected to take off by the end of this year with development costs tagged at RM40 million," Ahmad Shukri said, adding the proposed hotel project will be carried out by Alor Star-based property developer MBAS Jaya Sdn Bhd. The proposed hotel will take around one-and-a-half years to be completed. Also on the drawing board is a 200-room new hotel. Meanwhile, a RM5 million two-storey hostel is also being planned in Phase 4 of the park. The 31-bedroom hostel, for which construction will begin by the end of this year, will be managed by KTPC, which oversees the management of the park. Ahmad Shukri also said that plans are afoot to meet the human resource needs of the park's tenants. "A more concerted skills development centre at the park is being worked out with the cooperation of the Northern Corridor Implementation Agency and the Kedah Industrial Skills and Management Development Centre," he added. The Islamic-based Al-Hadharah Boustead Real Estate Investment Trust (REIT) is increasing its plantation size from 12,000ha to 16,000ha by acquiring the Bebar and Malakoff estates in Pahang and Penang for RM192 million. The purchase of the two estates, aimed at increasing unitholders value, will be funded by syariah- compliant loans and issuance of new REIT units. In a statement yesterday, it said the REIT continues to chart positive growth based on its financial performance for the six months to June 30, 2008. The fund posted an unaudited revenue of RM36.3 million, 57 per higher than the same period last year, derived from its current eight oil palm plantations and two palm oil mills. Out of the revenue, RM15.5 million stem from its performance-based profit sharing structure while RM20.8 million was achieved from rental income. The fund was able to achieve an actual average palm oil price of RM3,026 per tonne against the reference price of RM1,500 per tonne in the first six months of 2008. Due to this performance-based profit-sharing mechanism, the additional profit in excess of RM1,526 per tonne translated to a sterling gain for the fund. As a result, its net earnings per unit for the period under review was 7.13 sen, marking an increase of 34 per cent over the same period last year. "We have seen very strong growth over the first six months of this year, thanks to crude palm oil (CPO) prices. Unitholders are enjoying significant returns because of our winning profit-sharing structure," Boustead REIT Managers Sdn Bhd chairman Tan Sri Lodin Wok Kamaruddin said. "While there may be cyclical and speculative pressures on CPO prices in the future, we are optimistic that pricing for this highly sought after commodity will remain strong. The fund will maintain its prudent approach when it comes to forward sales without affecting our growth strategy," he added. In tandem with the fund's performance, the managers have proposed a distribution of 3.69 sen per unit in respect of the period under review, which will be paid on August 29 2008. UEM Builders Bhd has completed phase two of the Malaysian Agro Exposition Park Serdang (MAEPS) worth RM221.5 million. In a statement, the company said it took them only seven months to build the complex since the contract was awarded in early December 2007. UEM, which was commissioned by the Agriculture and Agro-based Industry Ministry had earlier completed the RM45.6 million phase one of MAEPS in November 2006, ahead of schedule. UEM Builders managing director Datuk Ridza Abdoh Salleh said its project team applied an unconventional engineering system to reduce the construction period, at the same time not compromising on any components, especially quality of work. "We had applied the Engineering Formwork Systems for columns and slabs. This reduced the construction period even though many of the buildings under construction are scattered within the location," he said in a statement. MAEPS will host Malaysia's biggest agricultural exhibition, namely the biannual Malaysian Agriculture, Horticulture and Agrotourism Exhibition this month. MAEPS is owned by the Ministry of Agriculture and Agro-Based Industry and occupies a build-up area of 42,000 sq m.
It is located on a 129ha of Mardi's land, adjacent to the Kajang - Puchong Highway. On the international front, the group is expected to strengthen its position in India and the Middle East and is pursuing new construction and infrastructure projects in India, Singapore and Indonesia. PETALING JAYA: The liberalisation of the domestic steel market has not resulted in an artificial shortage of the commodity or higher steel exports as claimed by local housing developers and construction industry players. Malaysian Iron and Steel Industry Federation (Misif) president Chow Chong Long maintained that there was no steel shortage in the country as steel millers had continuously increased their capacity over the past few years. Misif represents 150 members, including five of the largest local steel millers – Lion Group, Kinsteel-Perwaja, Ann Joo Resources Bhd, Southern Steel Bhd and Malaysia Steel Works (KL) Bhd (Masteel). Chow told StarBiz that Misif did not foresee any problems in supplying steel bars based on the Construction Industry Development Board’s (CIDB) forecast 2.1 million tonnes in 2008. In the first half, steel millers had confirmed the supply of 1.2 million tonnes. According to Chow, many previous claims of steel shortage had never been independently verified. Over the last few weeks, orders received by steel millers were 30% below normal and “we even need verification whether this downtrend is likely to continue,” Chow said. This was despite the move by the Master Builders Association of Malaysia (MBAM) and Real Estate and Housing Developers Association (Rehda) calling on the Government to impose a 15% export duty on billets and steel bars, or even banning the export of the latter, implying a shortage in steel supply. Chow had suggested an independent study to confirm the shortage or oversupply of steel. In addition, the Government could appoint Misif and CIDB as mediation agencies to help contractors negotiate with the variation orders (VO) with the developers, while steel mills could facilitate the VO computation by publishing its monthly prices to serve as a benchmark. The lifting of the local steel ceiling price on May 12 has seen the commodity soaring by 55% to RM4,000 per tonne currently, moving in tandem with the international price of about US$1,200 to US$1,300 per tonne. The impact of soaring prices has resulted in housing developers and construction players putting pressure on MBAM and Rehda to look for amicable solutions pertaining to the escalating raw materials, claims on artificial steel shortage and steel millers opting for exports due to the higher international selling price. In the past one month, MBAM and Rehda had put forward a series of proposals to the Government, including a temporary ban on exports of local steel, allowing steel imports, tax-free import of steel that meets Malaysia’s standard MS146 or equivalent to BS4449 standard, establishment of a steel stockpile and export quota on steel millers. The latest is a request for a six-month lead-time announcement on price increase to enable contractors to make provisions to mitigate the rising costs. On Tuesday, two separate closed-door meetings were held among the International Trade and Industry Ministry, officials from MBAM and Misif. Another was held between the Housing and Local Development Ministry and MBAM representatives. An industry source told StarBiz that ministry officials had cautioned MBAM to be “guarded” with its stand and various proposals to the Government, which could affect investors’ confidence in Malaysia’s credibility. “They must understand that the Government cannot keep on changing its policies overnight. All must be taken into consideration to ensure parties involved are well taken care of,” she said. Meanwhile, Masteel managing director and chief executive officer Tai Hean Leng concurred that there was no steel shortage. “Contractors are trying to pressure steel mills to reduce prices by using claims of shortage and high prices to get the Government to impose export tax. “A quick check on the delivery lead time of mills will show that they have high stocks and make deliveries within a week of receiving orders. Steel millers are exporting because there is not enough demand from local contractors,” he added. After the liberalisation, Tai said steel bars were being imported as verified by most local customers. For flat steel products, an industry player said there had been some operational disruptions in terms of delivery and production since late 2007, which led to price increase for hot- and cold-rolled coil in the past six months. However, the problems had been resolved and supply was back to normal, he said. The major producer is expected to upgrade its plant by end-August, which may tighten supply. Under such circumstances, he said, steel millers would find it more attractive to export. An analyst with a local brokerage said local millers would rather sell locally to avoid freight charges. “There is no acute shortage of supply as demand is slowing due to contractors re-drawing orders. Many projects are either delayed or put on hold. “The smaller contractors are facing cash flow issues, as millers prefer cash transactions to avoid credit risk,” he said. He said millers had their own business risks and it would be unfair to clip their wings by imposing a ban on exports or reversing to the ceiling price mechanism. “It must be a free market. If the contractors feel the local prices are too high, they can source elsewhere,” he added. There is always a delivery lag of eight to 10 weeks even for international suppliers. There is a shortage worldwide because demand is growing at 6% to 7% per annum while new capacity is only coming in in two to three years. “Prices will continue to remain high and a reprieve is unlikely unless there is a global slowdown,” he said. The millers also face high freight charges and long delivery time as they source more than 70% of scrap from abroad. He pointed out that liberalisation was the best option as players could have a free hand in choosing where to source their materials.